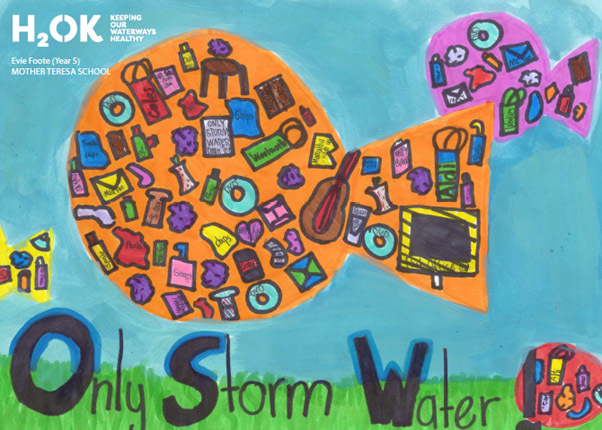 The 2018 school DrainART design competition invited primary and secondary school students in the ACT, Cooma, Yass and Queanbeyan area to submit artwork to serve as a visual reminder to the community that only rain should go down the stormwater drain. 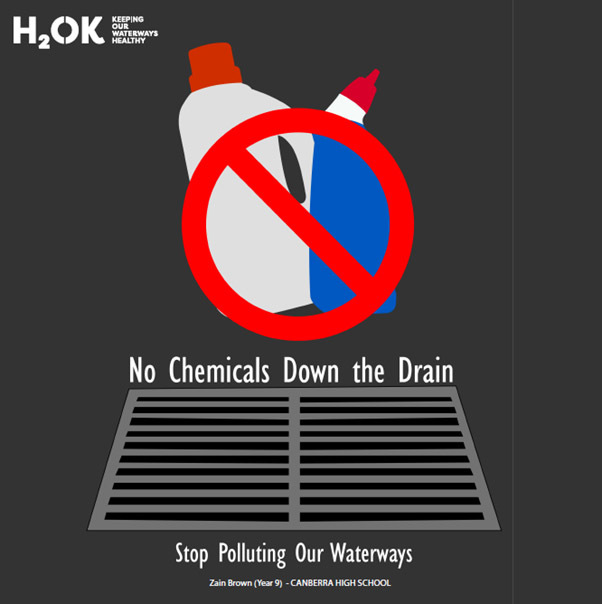 The competition sought submissions to address three categories of pollutants commonly found in our waterways: organics, rubbish and chemicals. Each category was awarded with first ($150 store voucher), second ($100 store voucher) and third prize ($50 store voucher). The competition received a total of 80 submissions, with 11 winning entries selected by the Project Panel for the categories. An additional Minister’s prize ($200 store voucher) was selected from the submissions by the ACT Minister for Environment and Heritage, Mick Gentleman. 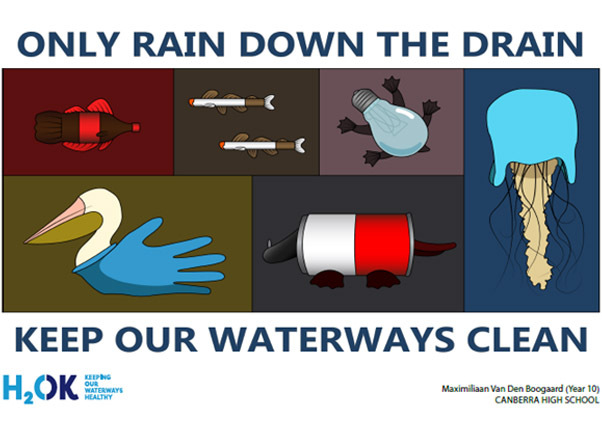 The winning 12 designs have been made into asphalt art decals for placement on the pavement near stormwater drains at local shops, neighbourhood centres and town centres. Many of the proposed installation locations have been selected by the prize winner’s themselves, further encouraging them to be local champions for improving and protecting our waterways. 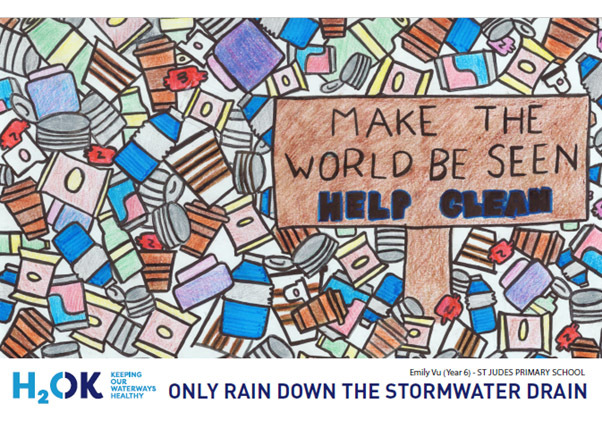 Each artwork will raise community awareness on residential stormwater pollution. 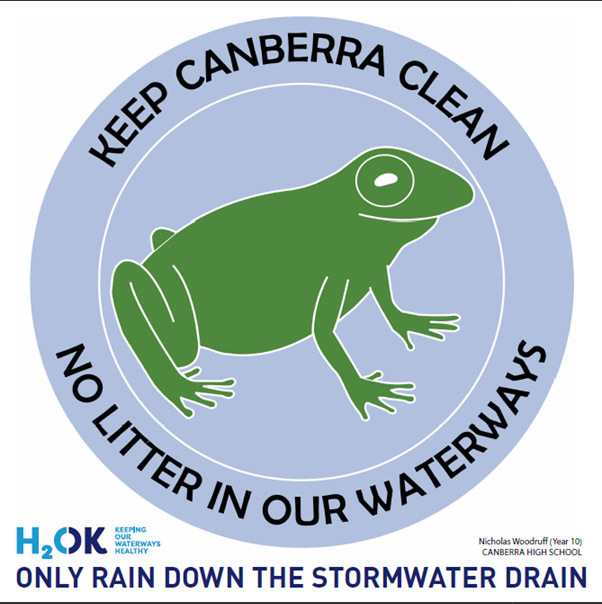 The DrainArt design competition is part of the H2OK: Keeping our waterways healthy stormwater education program funded by the Australian and ACT governments to improve the quality of water in ACT waterways that flow into the Murrumbidgee River System. Mizuki, Year 9, Canberra High School. Evie, Year 5, Mother Teresa School. Zain, Year 9, Canberra High School. Gabrielle, Year 6, Maribyrnong Primary School. 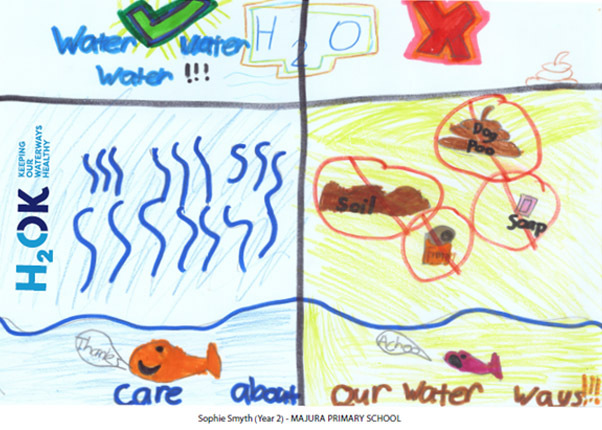 Sophie, Year 2, Majura Primary School. “My picture is what should not go in the drain and what can. 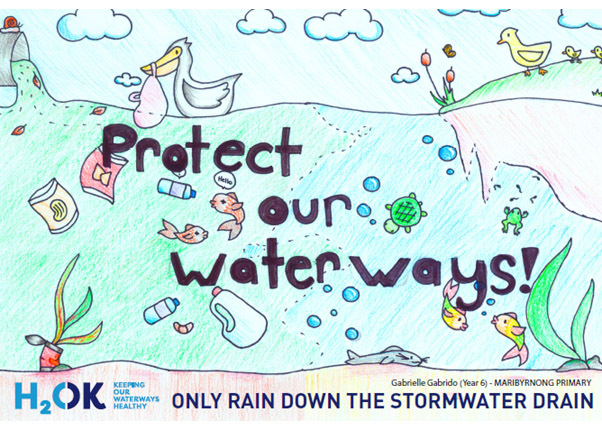 We keep our waterways clean because we have to care about or fish and water”. Harrison, Year 10, Canberra High School. “My design shows rubbish being dumped. It also shows a platypus in the corner looking distressed as rubbish is dumped, destined to ruin his home. 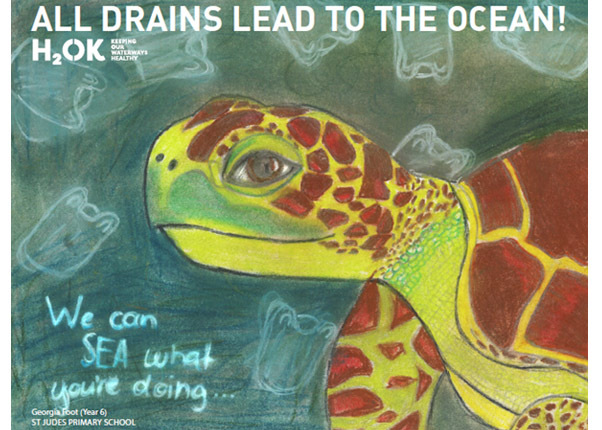 It tells us of what the consequences of dumping rubbish in the drain are and that it can affect our wildlife”. 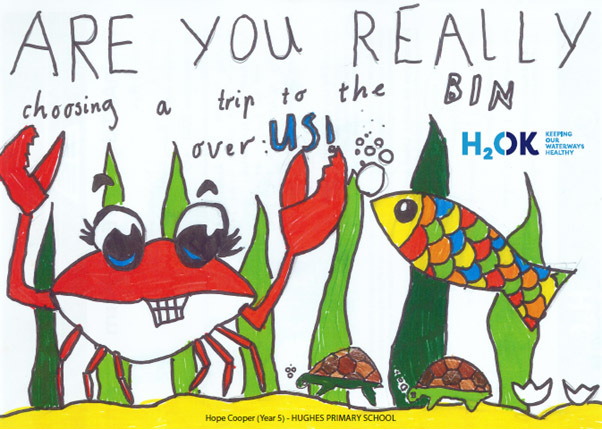 Hope, Year 5, Hughes Primary. 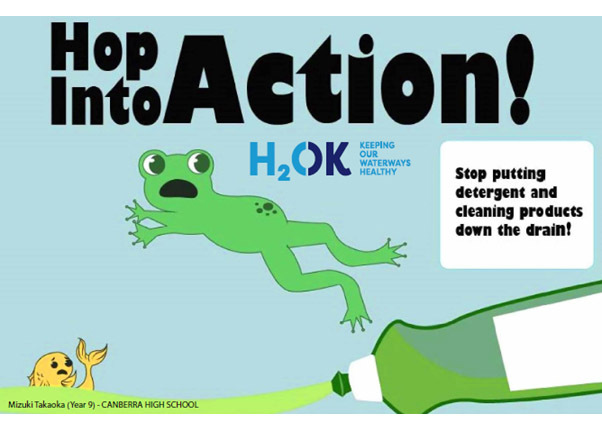 “Healthy is what our drains need to be. 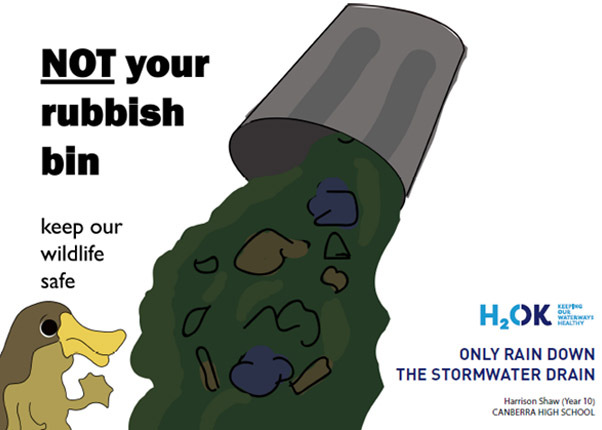 We don’t want rubbish in the sea. Fish will no longer be able to get air. Spinning spirals down the pipe. 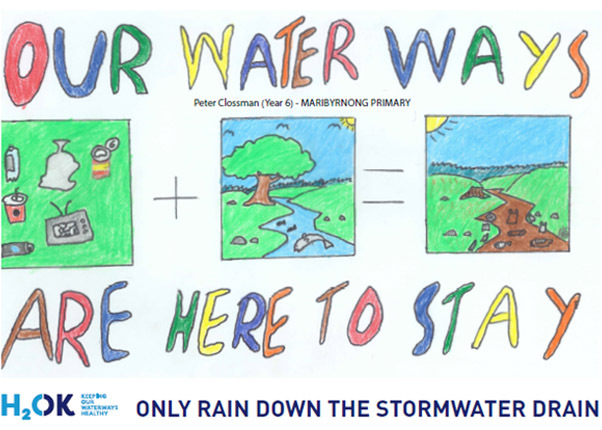 Peter, Year 6, Maribyrnong Primary School. Georgia, Year 6, Saint Jude’s Primary School. Nicholas, Year 10, Canberra High School. Emily, Year 6, Saint Jude’s Primary School.